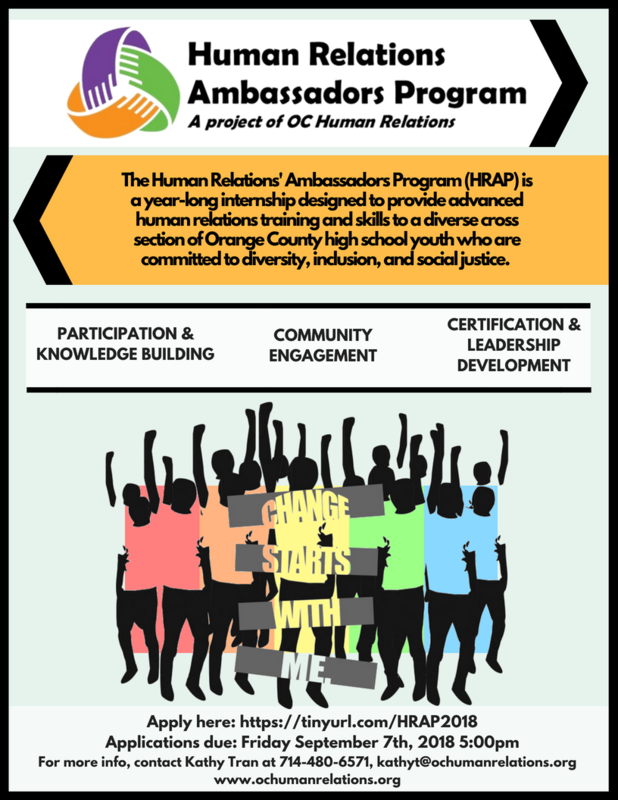 Internship Opportunity: Human Relations Ambassadors Program! See Ms. Alba or Ms. Martinez for more info. Open to all high school youth across Orange County. Application Priority Deadline: Friday September 7th, 5:00pm.